A wonderful tiger on a metal decoration ! 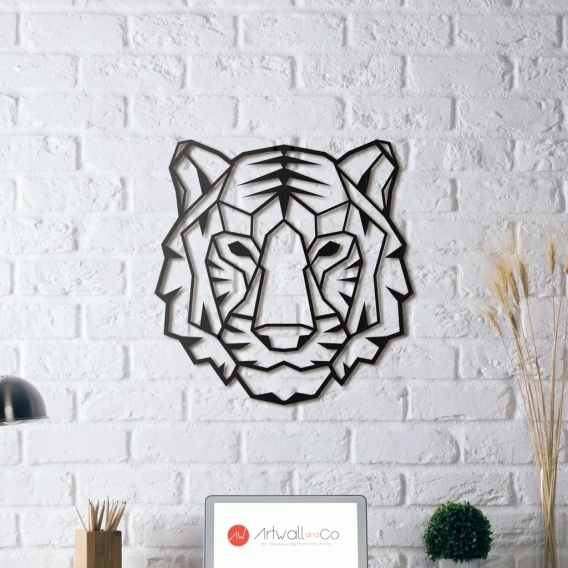 This metal head tiger gives you a design touch for your interior. 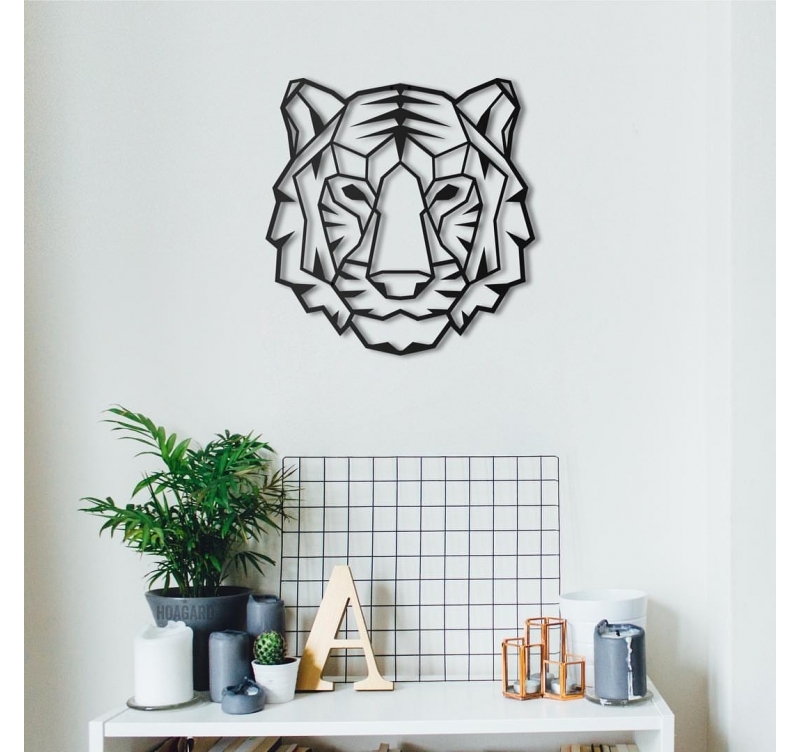 The dimensions of this tiger metal wall decoration are 50 x 49 cm. The delivery is free in Metropolitan France and Belgium for this metal animal head. A beautiful natural tiger ! 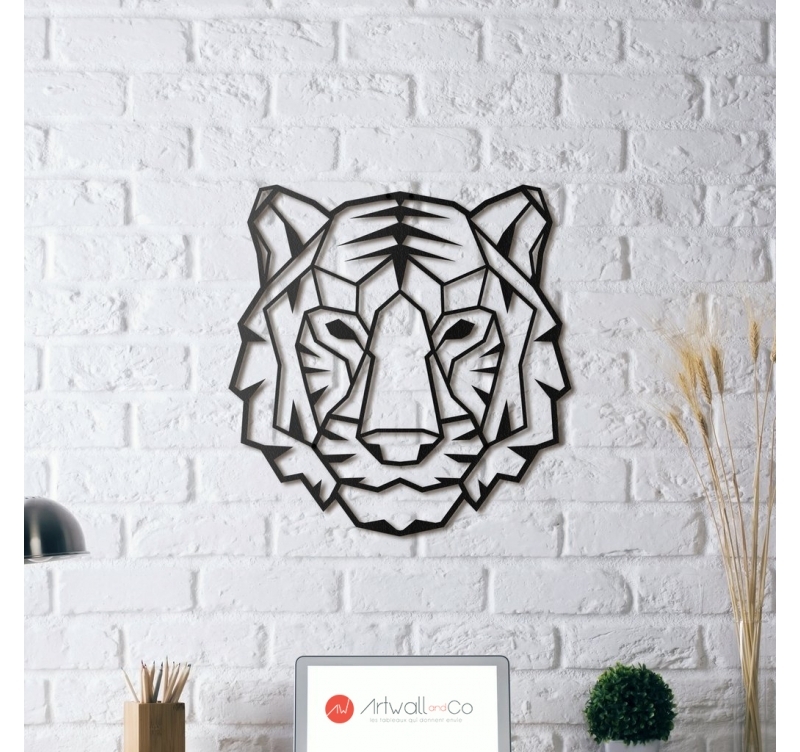 For all nature and animals lovers, this tiger wall decoration is the piece of art of your dreams … Realised by our Artwall and Co artists, this tiger head on metal has a origami style for a contemporary and design touch in every interior decoration. This metal wall deco is from our animal collection to sublimate your wall with a black color. The installation is easy with our hanging system integrated to the modern sculpture. All our metal wall decorations are hand made and treated with a black finish for a long lasting quality.